Right on cue, Apple’s free iTunes Radio service has now started delivering the World Cup 2014 audio stream and other national and global news content from ESPN, as well as over forty new National Public Radio (NPR) stations bringing live programming for news, talk shows and more. And in addition to the World Cup stream, iTunes Radio now offers original ESPN programs, including such national sports talk shows as SportsCenter All Night, SVP and Russillo, Mike & Mike, The Dan LeBatard Show and The Herd. As first spotted by AppleInsider, both the new ESPN iTunes Radio station and the newly added NPR content can be enjoyed inside the iTunes Radio section in desktop iTunes on Mac and Windows PCs and through the stock iOS Music app on the iPhone, iPod touch and iPad devices. You’ll need to manually search for the new NPR station because the iTunes Radio interface is currently lacking in terms of highlighting new content, aside from surfacing interesting content in the Featured section. For ESPN Radio, follows this direct iTunes Radio link. ESPN’s schedule can be found on their website here. The company notes that its podcasts and on-demand content will continue to be available for download from iTunes. In addition, the live ESPN Radio station on iTunes Radio will make available an unparalleled lineup of events – the 2014 FIFA World Cup, Major League Baseball including the playoffs and World Series, season-long college football, culminating with the College Football Playoff, US Open Golf, and college basketball. The very first live sporting event on iTunes Radio will be ESPN Radio’s broadcast of the Atlanta Braves versus the Colorado Rockies Major League Baseball matchup on Wednesday, June 11, at 8 p.m. ET. The World Cup 2014 soccer tournament begins on Thursday, June 12. 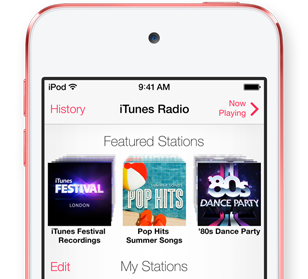 It’s fairy safe to assume that Apple will add more stations over time as it seeks to move iTunes Radio from a fairly limited jukebox to a full-blown digital replacement for the classic radio. Indeed, ESPN itself has already promised that it will continue working with Apple to “bring expanded local station content” to its listeners in the future. 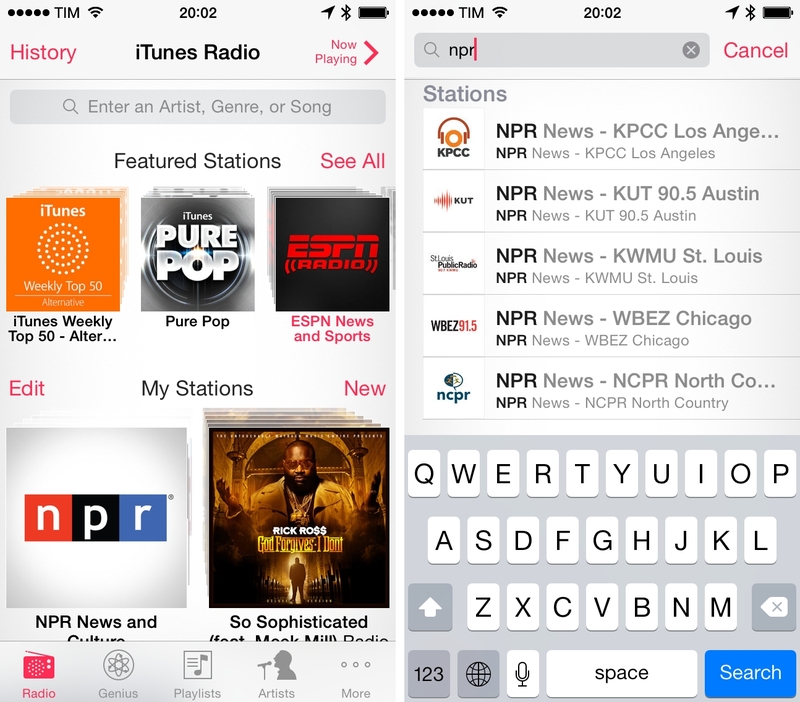 Eagle-eyed readers could point out that NPR back in March became the first iTunes Radio station to offer news content in the form of its NPR News and Culture show, a turning point for Apple’s then music-only service.